As if the fact that they make rum in the less than tropic climate of Nova Scotia isn’t newsworthy enough, Lunenburg-based Ironworks Distillery is sending four barrels of rum on trip around the world. To celebrate the ship’s 7th and final round-the-world trip, Ironworks Distillery is sending their rum across the world aboard the Picton Castle, a stunning three-master tall ship. The rum will be at sea for 15 months, which gives Ironworks the opportunity to test the effects of the oceans on the maturation of their rum. The rum will be bottled upon return in May, 2019, as ‘Round the World Rum’. According to Ironworks the rum will not be colored, which could make this rum pretty close to what it would be like in the 1600’s. Updates about this rum’s adventures can be found on the Ironworks Facebook page. 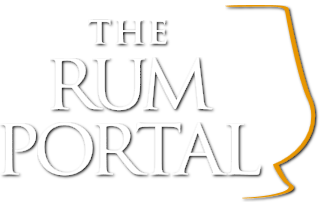 Press Release — TheRumLab has announced the 2018 dates for the US Rum Festival Tour, with the intention to continue promoting the education and premiumisation of rum. The events will take place at the metropolitan cities of Chicago, San Francisco, Seattle and New York City. The goal is to feature more than 40 premium rum brand expressions from around the world, accommodate members of the beverage trade with intimate access to brand representatives, tastings, seminars and educational breakout sessions. (2) Ian Burrell – Global Rum Ambassador, Celebrity Judge and producer of the UK Rum Fest. (3) Bailey Pryor – 5 times Emmy Award winning documentary film producer and CEO of The Real McCoy Rum. The 1st event for 2018 will be the Chicago Rum Festival which will take place on April 14th at Logan Square Auditorium – Chicago, Illinois. Followed by the California Rum Festival which will be on Sept 8th at SOMArts Cultural Center in San Francisco, CA, then the inaugural Seattle Rum Festival taking place in Seattle, Washington. Then to conclude the tour, the New York Rum Festival is scheduled to occur the weekend of Sept 29th, in New York City. For more information on each event visit www.therumlab.com. The Rum Lab is a creative and production agency focused on the rum industry. The company produces the Puerto Rico’s national rum fest – Taste of Rum Puerto Rico – in addition to the California Rum Festival, Midwest Rum Festival,, New York Rum Festival, and new this year, the debut of the Seattle Rum Festival.. Events produced by The Rum Lab attract hundreds of guests including beverage trade professionals, rum aficionados, tourists and local consumers. Orlando, FL (PRUnderground) October 2nd, 2017 – Dan DeHart, the founder of the boutique Grander® Rum brand, announced that it will be releasing two new bourbon-barrel aged expressions – Grander® 12-Year-Old and Grander® Single Barrel. “We believe it is time for the U.S. consumer to get introduced to well-crafted aged rum that sits comfortably next to the best whiskeys,” said DeHart. “Many consumers tend to think of rums as overly sweetened or only meant for mixing, but we are ready to change this perception. The award-winning brand introduced its unadulterated bourbon-barrel aged Grander® 8-Year-Old rum to the market and took home the gold at the 2016 San Francisco World Spirits Competition, along with a 92 rating at The Ultimate Spirits Challenge 2016. Grander® Rum is available exclusively in FL, GA, IL, KY, TN, and TX. Grander® 12-Year-Old Rum is a beautiful marriage of carefully selected barrels that deliver an exquisite balance of smoothness and complexity. The Panamanian rum has been aged for a minimum of 12 full years in ex-bourbon barrels and bottled at 90 proof (45 percent ABV). The extra four years of maturation in the tropical Panamanian climate delivers unique nutty flavors of toasted almond and nutmeg, imparting more density and nuances than the eight-year-old and is meant to be savored neat or over ice. Grander® Single Barrel Rum is a limited release that has aged for a minimum of eight years in ex-bourbon barrels, bottled at cask strength and non-chill filtered. 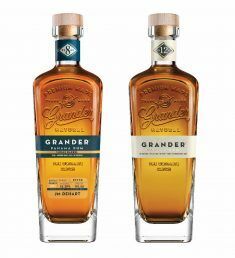 While Grander® 8 Year Old is a marriage of a small number of barrels and bottled at 45 percent ABV, the single barrel is just that – bottled at cask strength. The new bourbon-barrel aged Grander® 12-Year-Old and Grander® Single Barrel aged rum provide novices and spirit connoisseurs with exciting options, each with its own unique flavor notes that’s sure to bring more awards and accolades to the boutique rum brand. DeHart Spirits is the owner of Grander® Rum which is currently sold in six USA markets and three European markets. For additional information, visit GRANDERRUM.COM or follow them on Instagram @GRANDERRUM. Strathearn Distillery recently launched a new rum called Dunedin Golden Rum. According to their website this is “probably the first Scottish golden rum for over 100 years”. Dunedin Golden Rum “has a bold fruity nose with notes of dark chocolate. A complex blend of sweet vanilla and spicy flavours gives way to burnt sugar and caramel with an oaky finish”. Although this probably is an aged rum, it doesn’t carry an age statement. Bottled at 43% abv, Dunedin Golden Rum is available at Strathearn Distillery’s webshop. (Press release) Savannah Spirits Group has announced that it will open a new distillery in the heart of Savannah’s National Historic District in March 2018. The 12,000 square foot building, built in the late 1800’s, will also house an upscale chophouse with multiple dining rooms, a full bar and private event space with a terrace on the upper floors all surrounded by the original brick that has been uncovered during the renovations. In the meantime, Savannah Spirits is currently producing its first two products off-site, Silver and Amber Rums. The rums are the first in a line that will include vodka, gin and whiskey. “This has been a long time in the making and to introduce Savannah Spirits to the Low country starting with our rum, we feel,is the most apropos way to honor the bustling spirit of the region and its people, and to celebrate Savannah’s fanciful history,” says co-founder Dean Bell. Heavily inspired by Savannah’s colorful history and often pit stop location for history’s most notorious rum-runners, both Savannah Spirits rums reflect the distinctive character and provenance of the city and express this through their harmonious flavor infusions. The Amber Rum, made with the guidance of expert distillers from ImperialSugar, fuses the caramel notes of Savannah Spirits Silver Rum with Imperial Sugar-made dark cane syrup to create a welcome addition to the dark rum world with a simultaneously abundant and mellow flavor. DENVER and SAN DIEGO, Sept. 15, 2017 /PRNewswire/ — Fresh off multiple wins at the New York World Wine and Spirits Competition, Yolo Rum‘s premier blend, Yolo Rum Gold, won a gold medal and new boutique blend Yolo Rum Clear won a silver medal at the 2017 San Diego Spirits Festival and International Competition. Held in late August at the Port Pavilion on Broadway Pier, the San Diego Spirits Festival and International Competition attracted entrants and attendees from all over the United States and the world. One hundred sixty-two entrants participated in a variety of spirits categories. Ranked as one of the top cocktail festivals in America by Fodors, SDISF judges come from the ranks of top food and beverage buyers, writers, columnists, beverage directors, and sommeliers. This year marks the ninth anniversary of the competition and exposition. DENVER and NEW YORK, Sept. 7, 2017 /PRNewswire/ — Yolo Rum‘s premier blend, Yolo Rum Gold, won a gold medal at the 2017 New York World Wine and Spirits Competition. And that was just the first of three medals Yolo Rum took home from the competition held at the Education and Conference Center at the New York Academy of Medicine on August 23rd and 24th. Yolo Rum Silver and Yolo Rum Clear both received silver medals as well. The New York World Wine and Spirits Competition (NYWWSC), the San Francisco International Wine Competition and the San Francisco World Spirits Competition are considered the “Triple Crown” of contests of their kind. Judges for the NYWWSC come from the ranks of the top food and beverage buyers, beverage directors, writers, educators, columnists, sommeliers, chefs and U.S. Bartenders Guild mixologists. With its wins at NYWWSC, Yolo Rum continues an impressive, award-winning run at industry expositions and competitions. 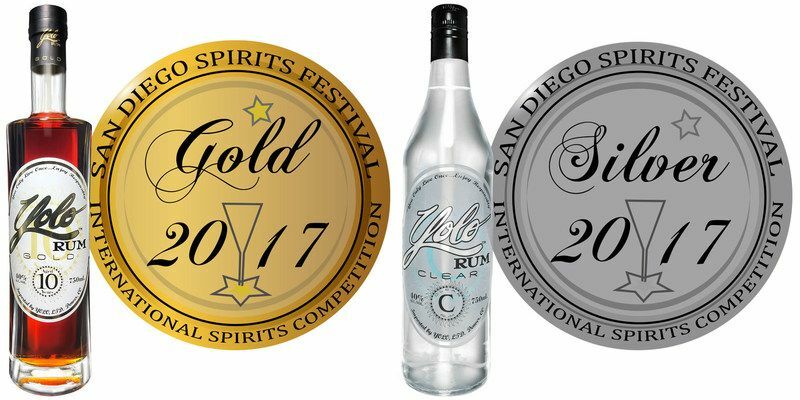 Yolo Rum has received multiple Best-of-Class wins from Spirits of the Americas, won multiple gold medals at the Denver International Spirits Competition and taken home more gold medals at the Miami Rum Renaissance Festival. Now they add three more medals to the trophy case. At the heart of the Yolo Rum operation is master distiller Francisco “Don Pancho” Fernandez. Born in Cuba and operating out of the Republic of Panama, Don Pancho is the world’s most-respected and honored ronero (that’s “rum blender,” for the layman). The recipient of hundreds of awards, Francisco “Don Pancho” Fernandez is acclaimed worldwide as the ultimate practitioner of his craft and recognized as a man who elevates the trade of rum making to high art. Yolo Rums are gluten free, with no added sugar or molasses and no artificial colors, flavors or preservatives, and the company produces its products using revolutionary environmentally sustainable processes. Offering boutique quality at exceptional value, Yolo Rum is the ideal synthesis of ancient crafts and modern tastes. Small Scottish rum producer Dark Matters Distillers has landed a large contract with Tesco Supermarkets. Owners Jim and John Ewen will soon be supplying 450 Tesco supermarkets with their spiecd rum. This article details recent purchases made by Maison Ferrand (Plantation Rum) and gives an interesting insight in the rum business. With the purchase of the West Indies Distillery in Barbados Maison Ferrand also acquired a third of Long Pond distillery in Jaimaica, wich subsequently has been reopend after being silent for five years. The Rum Lab has announced the 2017 dates of its third annual West Coast rum extravaganza – California Rum Fest. Benefitting the Operation Helping People (O.H.P.) Foundation, a group focused on youth mentoring in the Bay Area, the anticipated two-day, premier immersive rum event is slated for September 8-9 at SOMArts Cultural Center in San Francisco. Featuring more than 40 premium rum brand expressions from around the world, Friday, September 8 will accommodate members of the beverage trade with intimate access to brand representatives, tastings, seminars and educational breakout sessions. Day two, Saturday, September 9, will culminate in the Rum Bazaar, a five-hour event featuring tropical rum cocktails created by some of SF’s best bartenders, arts & crafts by local vendors and live music from 12-5 p.m.
For more information on California Rum Fest, including tickets for purchase, visit www.californiarumfestival.com. The Rum Lab produces Puerto Rico’s national rum fest – Taste of Rum Puerto Rico – in addition to the California Rum Festival, Midwest Rum Festival and NEW this year, the debut of the New York Rum Festival coming up on September 30. Events produced by The Rum Lab attract hundreds of guests including beverage trade professionals, rum aficionados, tourists and local consumers. Learn more at www.therumlab.com. Welcome to the Rumportal! On this website you can find the latest news in the rum-scene and started in the colorfull world of rum. Life’s too short to drink bad rum!